2014 has been quite the tumultuous year. As it draws to a close, there is still no ebbing of the drama surrounding K-pop. Just when it seemed that the drama surrounding Star Empire Entertainment was ending —with Nine Muses losing members and ZE:A’s issues – more things are coming up. Earlier this year, Nine Muses lost three members under the guise of “graduation”: Eunji, Lee Sem, and Sera, who were all original members. There was no clear indication of why they left other than their contracts ending. It could have been that simple, or given the background of the group, something more. Either way, there are only six members left. This wouldn’t be the first time the group has promoted with less than nine members, as awkward as it is. 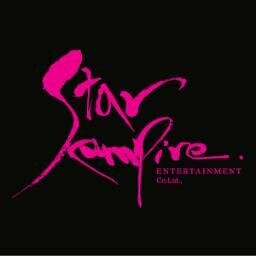 However, Star Empire has stated that new members will be added and that the group will be making a comeback. Most expect one of those members to be NASTY NASTY‘s Sojin. Fans are wondering what exactly is happening with the group — other than them modeling for magazines, CFS, and doing YouTube videos, that is. Despite all the statements, no news regarding group activities is being released. Now, Jewelry is the latest girl group facing catastrophe from Star Empire. Earlier this year, Eunjung departed the group to focus on other activities. In November, Baby J announced that her contract was up and she was leaving, with Semi expected to leave right behind her. That leaves only Yewon remaining. This isn’t the first time the group has faced member annihilation. The most recent line-up was the fifth incarnation of the group, with no original members left. Yewon was the last to join the group (2011), so naturally, she’ll be the last one standing. Even if the group didn’t constantly face member changes, the lack of steady promotions certainly isn’t helping matters. Since 2011, Jewelry has only released six digital singles (with all but two being released in 2011) and one EP. In the world of K-pop, that’s not nearly enough. Also, the group was beginning to see some improved rankings, with their last single “Hot & Cold” peaking at #18 on the Gaon Charts and #15 on the Korean Billboard. Of course, the issues at Star Empire don’t just stop with the girls. 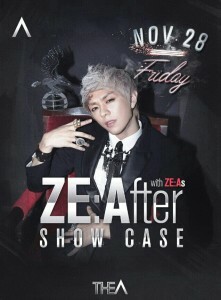 The drama surrounding ZE:A unleashed a flood of criticism and questions. As leader Lee Hoo openly discussed the issues, the response from both sides seemed to have solved the concerns of the leader and group. However, in October, Lee Hoo once again took to social media to air his grievances. This time, he showed proof of the lack of funds, although it’s unclear if the statement was for the group as a whole or Lee Hoo himself. Either way, you couldn’t help but be shocked by the lack of monetary compensation in connection to the work done. Although he threatened further revelations, nothing happened and Star Empire announced that Lee Hoo would go on hiatus. And just like last time, the critical tweets were deleted. As the agency continues to milk Siwan’s growing popularity for all it’s worth, and Kwanghee serves as the primary publicist, the rest of the members are involved in mostly random activities. Dongjun and Hyungsik are continuing to do acting projects and, surprisingly, it’s been announced that Lee Hoo is making his debut as a DJ (this is on top of him busking with French Knot). Thankfully, Heecheol is supposedly getting a shot at making some money and a name for himself by acting in a web drama, Doll’s House. This is all great, but there is still little being said about the group having a comeback anytime soon — or any concrete conclusion to the problems between the group and agency. Although things haven’t gotten so bad that artists are suing Star Empire for contract nullification, things still aren’t that great. There still appears to be a great amount of tension. Not to mention some mismanagement, if people see no reason to stick around once their contracts have ended. Additionally, the fact that Star Empire still makes no detailed or exact statements regarding all the situations arising is greatly concerning. As 2014 wraps up, hopefully all fears will be eased, and in the 2015 we’ll see more group activities and music. Though, for Jewelry, hope of any other version of them is low. But who knows? Maybe 2015 will be the year of the rise of Star Empire artists. Right now, things look beyond messy.